We create a “Blueprint” for you, a clear picture of where you want to go, when you want to get there and how you will get there. Your journey to a more successful financial future starts here. Your goals reflect you, so should your investment portfolio. Are you invested in the right assets? How is your portfolio performing? You should live your life fully, you need to manage your wealth wisely. Separation or Divorce, Estate planning, Special Needs Trust Planning, Ward of Courts. We offer bespoke advice in these specialist areas. We work in conjunction with your other trusted advisers such as your Solicitor and Accountant to achieve desired results. We advise on Individual and Group Pension arrangements, PRSA’s, Executive Pensions, Overseas Pension Transfers, Pension Adjustment Orders and Pension Consolidation from previous employments. Needs based analysis of your current protection portfolio (Life, Specified Serious Illness & Income Protection) taking account of present cover, employer benefits and employment status i.e. Employee or Self-Employed. 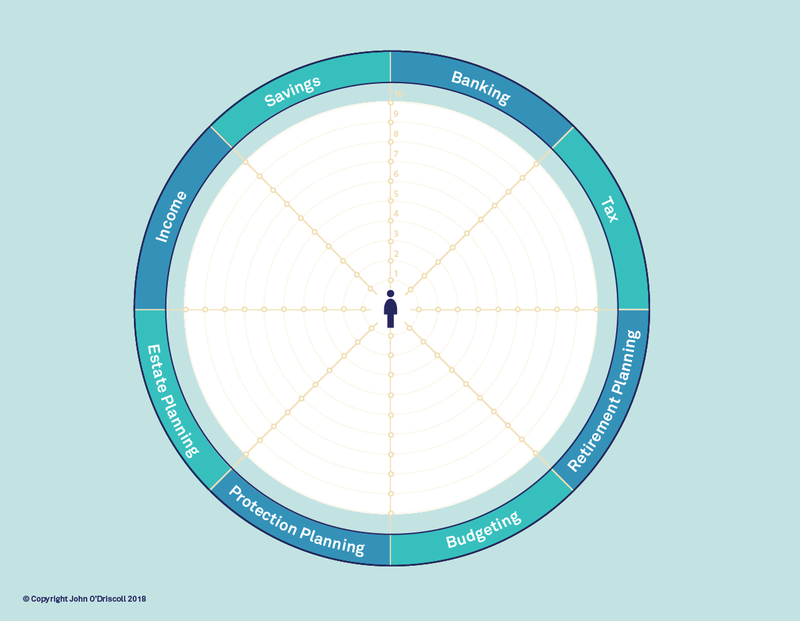 Tailored packages designed for staff of Multinationals and SME’s with interactive presentations and workshops using our innovative “Financial Wheel” approach. Increase your staff’s productivity and happiness by giving them access to expert money saving advice and tips!